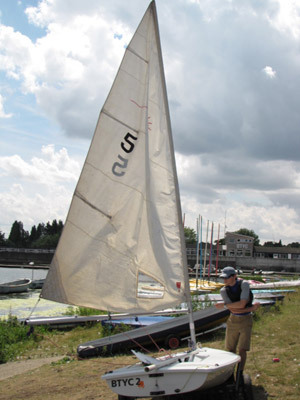 Generally, sailboat auctions are great in the sense that it gives enthusiasts the perfect chance to own both used and even new sailboats, powerboats, catamarans, dinghies and the likes at a fraction of the market price. It is a platform which serves as a market for transactions of the mentioned items for buyers and sellers from all over. So, how do you go about buying or in auction terms, bidding for the boats of your choice? Depending on the market, you might have to go through different processes before you are able to get a chance to bid for one of the listed items. For starters, you might need to join as a member of a certain auction market or group before you are eligible to bid. While there are auctions that are also open to the public, members of private auctions often get the best choices of boats and first-hand selection. Many auctions are also known to limit their services to adults under legally binding contracts. This means that if you are a minor, you won't be able to take advantage of such services. As mentioned earlier, the auction process can be quite complicated with many terms and agreements that bind both the sellers and buyers. For that matter, it is always advisable to read and understand all the stipulated terms & conditions prior to the auction. As with most other form of auctions, sailboat auctions usually involve some form of fees which is taken from the final selling price of the item. In addition to this, there are also a myriad of other fees involved; including listing fees. As most of you would have guessed, auctions such as these are widely available over the Internet. The process of a conventional auction is different from electronic auctions. For one, the payment methods might differ. This often arise due to the difficulty in verifying traders' identities. While many steps are taken, there have still been frauds involved. Still, risks can be minimized if you take the necessary precautions such as using third party Escrow services and maintain constant communication with your trading partners. Now, where can you find auctions where you can purchase sailboats, catamarans, yachts, powerboats and the likes? I am sure the majority of you would have heard of Craigslist and eBay. While these two are not auctions that specializes in sailboats, they are very well-known trading places where buyers and sellers convene to trade all sorts of products and services. Many of my friends and associates have succeeded in finding good buys on these sites at a fraction below the market price. You will be surprised at just what you might find. Still, you would have to be persistent in keeping up with the listed items and you will have to have a bidding strategy in order to successfully win the bid for your targeted item. Now that you have learned the ropes on sailboat auctions, you can get get started by joining one of these sites and keeping a close watch on the boat you are looking for. Take action this very instant and you will be thanking me very soon!